Fox execs are now reaping the rewards and dancing on ABC’s grave. 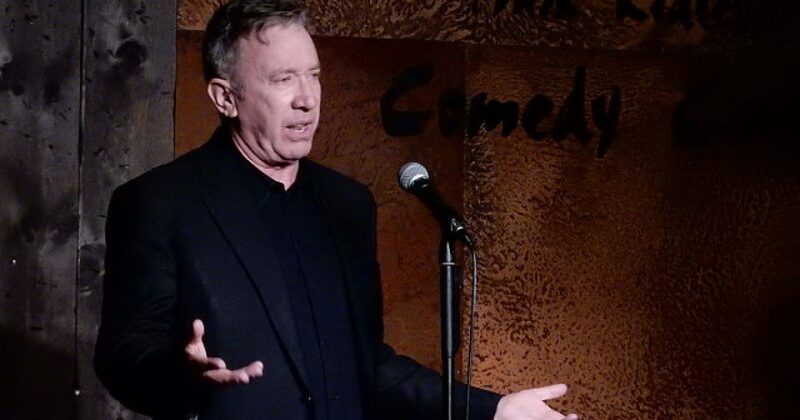 Tim Allen’s sitcom, Last Man Standing, was canceled by the liberals at ABC even though it was a ratings leader on the network. But now that Fox has picked the show up, Allen is having the last laugh as his show becomes one of Fox’s ratings leaders. ABC cancelled Last Man Standing after its sixth season, even though it was still among ABC’s top rated shows. There was only one reason for its cancelation. It wasn’t because the show was failing. It was because ABC executives hated the fact that Allen’s show often featured conservative subject matter. But only a few months after it was unceremoniously dumped by ABC, Fox TV picked the show up for a seventh season. Now, much to ABC’s dismay, Last Man Standing has become a new ratings leader for Fox. According to CinemaBlend, LMS has proven Fox executives right for having taken on the show. What’s especially exciting is that Last Man Standing has only increased in its dominance since returning at midseason to a 1.0 rating in the 18-49 demographic and 5.66 million viewers. During the January 11 airing, the show actually did a 1.2 rating and increased to 6.21 million total viewers, per TV By The Numbers. If you look back over Season 7, that’s the highest the show has done in total viewers since the November 9 episode, which brought in 6.3 million total viewers. But forget total viewers, because in total viewers Last Man Standing often loses to its CBS competitors like Blue Bloods and MacGyver. Where Last Man Standing really shines is the coveted advertising demographic, and that’s where Fox should be clapping backs–all the way to the bank. In one of the seres’ most recent episodes earned the highest ratings of any network TV show on Friday. The show had a few cast changes with the move to Fox. The part of Allen’s grandson, Boyd is now being played by Jet Jurgensmeyer. Allen’s number two daughter, Mandy, is now being played by Molly McCook . And Tisha Campbell took over the role of Carol Larabee. But the rest of the cast stayed on. In any case, the show is still a hit and has maintained its audience despite ABC’s attempt to destroy it because it is a conservative show.